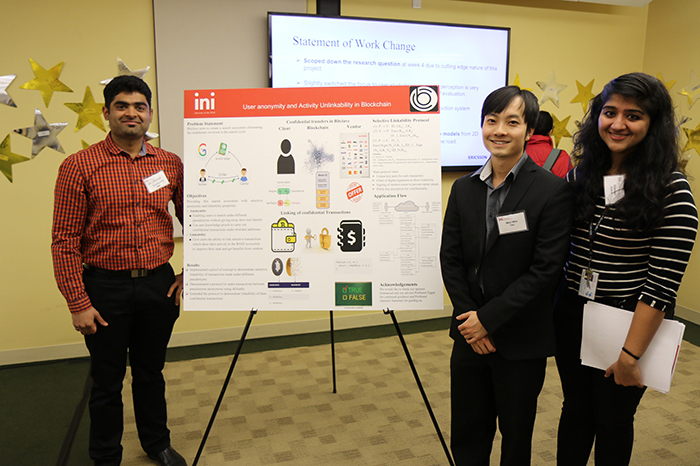 In the INI practicum project, information networking, security and mobility student teams tackle problems, pilot new ideas and develop solutions for corporate, government and research sponsors. 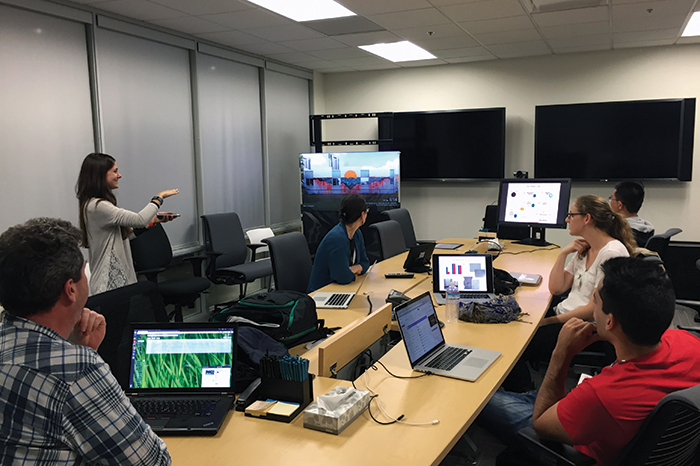 Projects span a variety of topics in computing, mobile systems and security, and range from fundamental research to software development. By assisting sponsors in scoping a project, the INI strives to maximize return on investment. Detailed, several-paragraph description of the project, including background, motivation, technical challenges, relevant technologies, etc. Short list of expected project goals or outcomes that the project team could aim for. For example, explain a prototype or demo that would be of interest to the sponsor. Please note that educational projects are not allowed to have specific technical deliverables that are required by the sponsor. Negotiation of the agreement's terms and conditions are subject to an increase in sponsorship fees and must be initiated as soon as possible. Please note that certain terms are non-negotiable. CMU students retain ownership of their intellectual property. At the above levels of sponsorship, sponsoring companies receive a non-exclusive, royalty-free, commercial-use license to use the student work product from the project course. Additionally, the teams share an archive of their work with the sponsor at the end of the semester. Sponsors interested in additional IP rights can negotiate directly with the students after the end of the academic semester. Want to chat about this opportunity? Contact the INI practicum team by email with questions. Matched according to skill sets and interests. 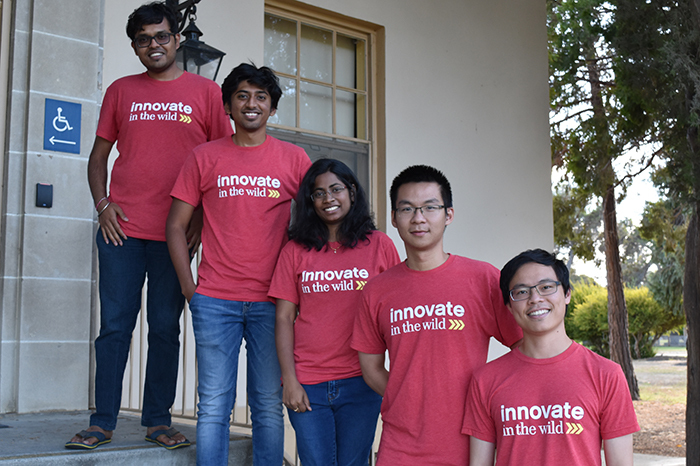 Fall 2019 semester at CMU Silicon Valley. Logged by each team member throughout the semester. 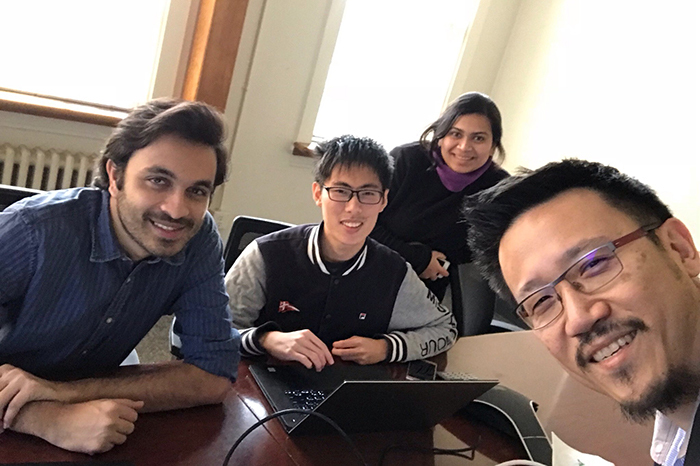 "User Anonymity and Activity Unlinkability in Blockchain"
Working alongside BitClave to develop the next generation of personal privacy, decentralized search, and digital advertising, this team worked on several technologies to ensure selective user anonymity, selective unlinkability and zero knowledge transaction protocols. "Fling-to-display device gesture using Google Chromecast"
Students researched the "fling-to-display device gesture" experience using Google Chromecast, connecting physical location and gestures to make devices better understand human intentions. This project compared the integrity and trustworthiness of two enterprise routers - the Cisco ISR4331 and the Huawei AR1220. The primary deliverable was a comprehensive report detailing the team's analysis. "Optimization of Surface Planning and Scheduling"
Created a generic airport simulation tool (applied to the San Francisco International Airport), added uncertainty to the simulation and explored different auto-scheduling methods to improve surface operations and scheduling. "Privacy Preservation in ML Algorithms"
To protect user's privacy, this project implemented a novel privacy-preserving deep learning technique that is highly accurate and difficult for an attacker to reverse. 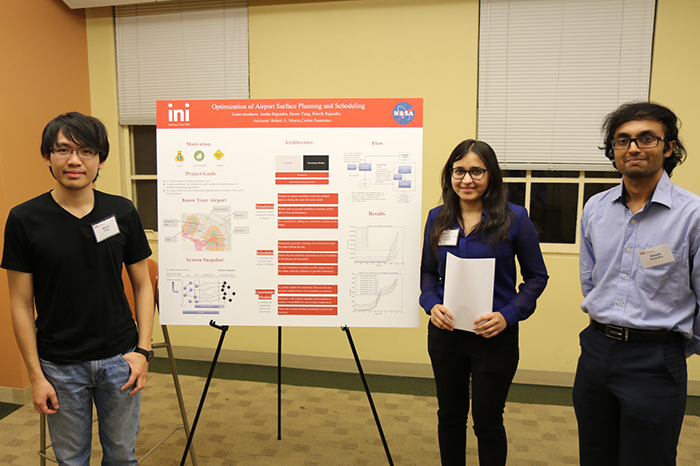 "Visualization and Analytics of Distributed Energy Resources (VADER) Data Collection & Analytics"
This team performed analytics on various data, including electric vehicle and smart home energy data, to determine the penetration of solar energy and help utilities decrease costs by relying more on cleaner energy. 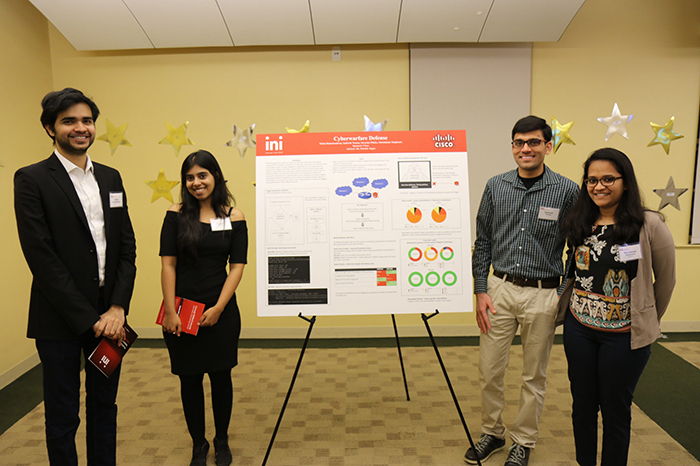 This team actualized an idea to a proof-of-concept for a trust management platform powered by blockchain. "Practicum gives us an opportunity to explore projects from a perspective that we normally wouldn't be able to take. This is essentially the number one goal, along with creating better future tech employees!" 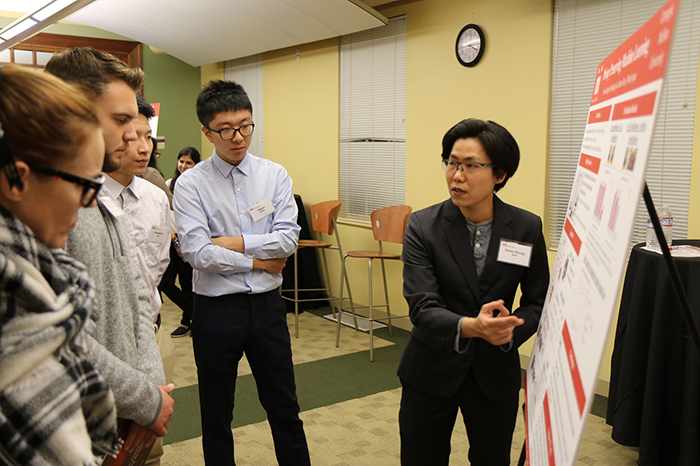 "The students completed the proof-of-concept to validate the idea, added features and resolved issues along the way. That's tremendous help for me to take the next step for my work." "The value for us is to meet and benefit from the contributions of top students, who bring an amazing energy and enthusiasm, and an amazing set of skills and new tools." "From a sponsor's perspective, the value of the practicum is influence. Sharing the Cisco brand and culture, inspiring the next generation, giving back - all while improving our recruiting pipeline."